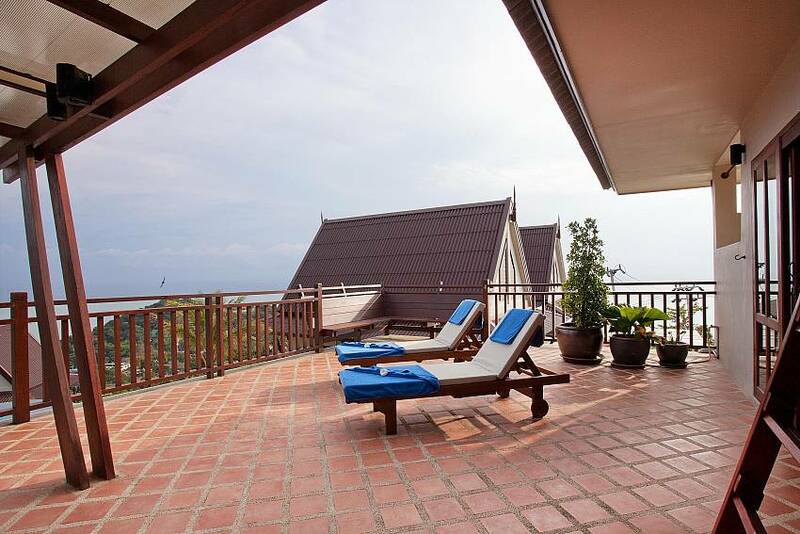 Overlooking the lovely Ba Kantiang Bay, this marvellous two-bedroom villa is the perfect place to enjoy a magical tropical holiday. 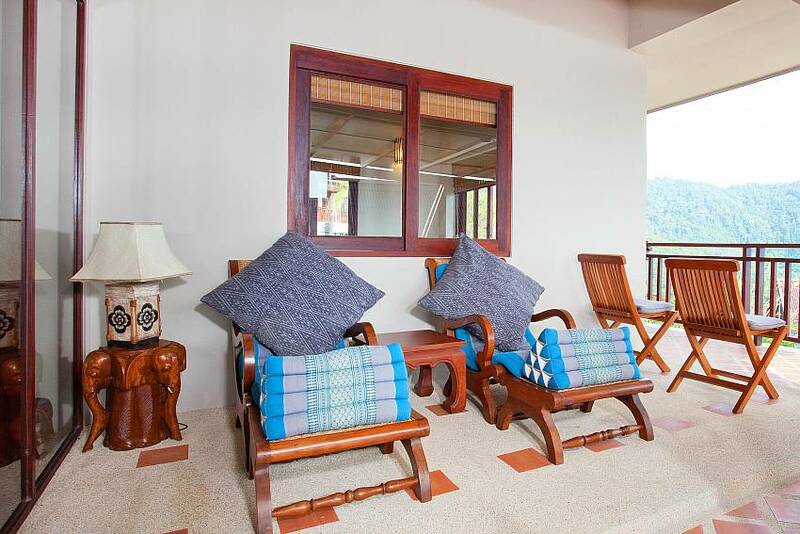 The constant sea breeze and sight of the Andaman Ocean from virtually every corner makes this villa both refreshing to the spirit and very calming and relaxing. 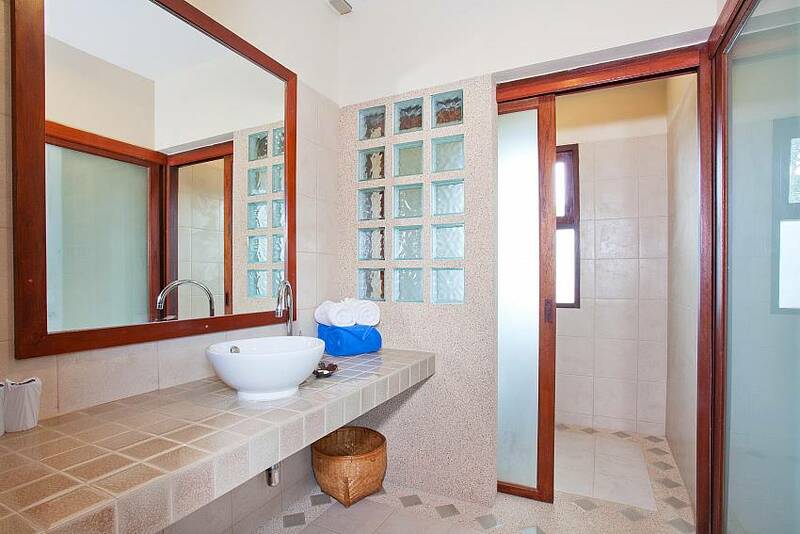 The interior of the villa is elegant and comfortable, and you are only 600 meters from the beach. 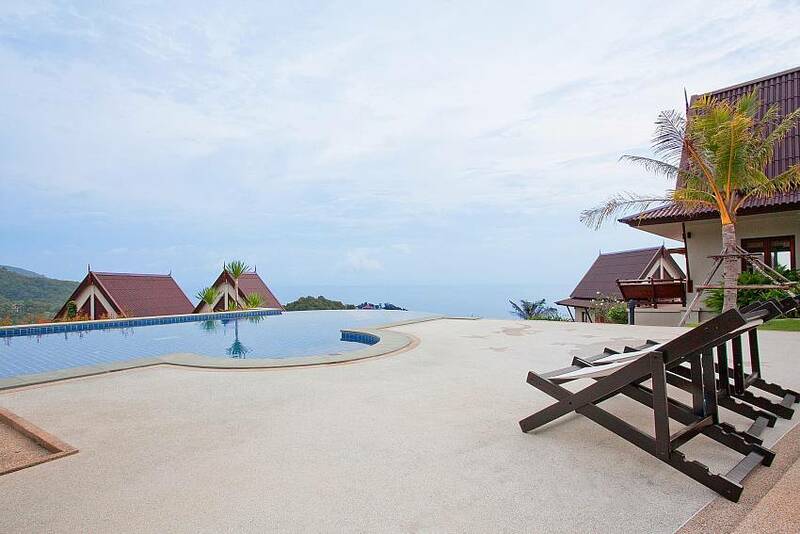 You also have the use of the estate's large infinity swimming pool with fabulous views of the ocean beyond. 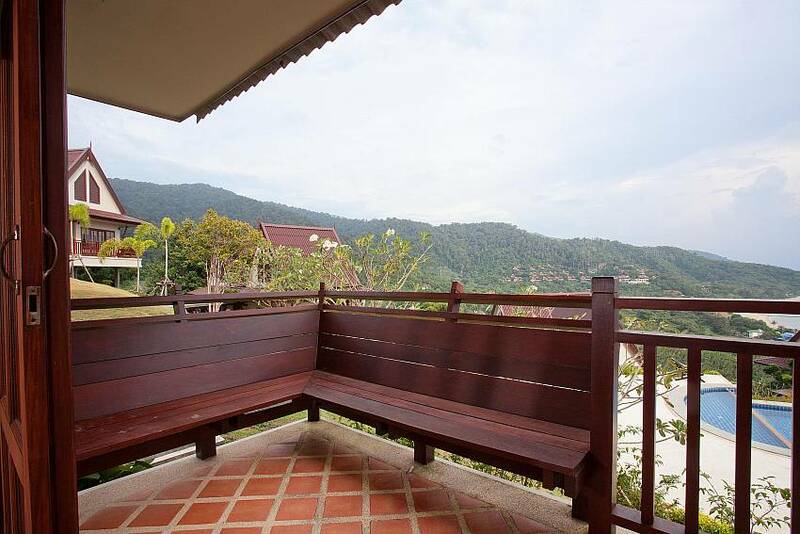 The villa is located in a peaceful hillside estate overlooking Ba Kantiang Bay. 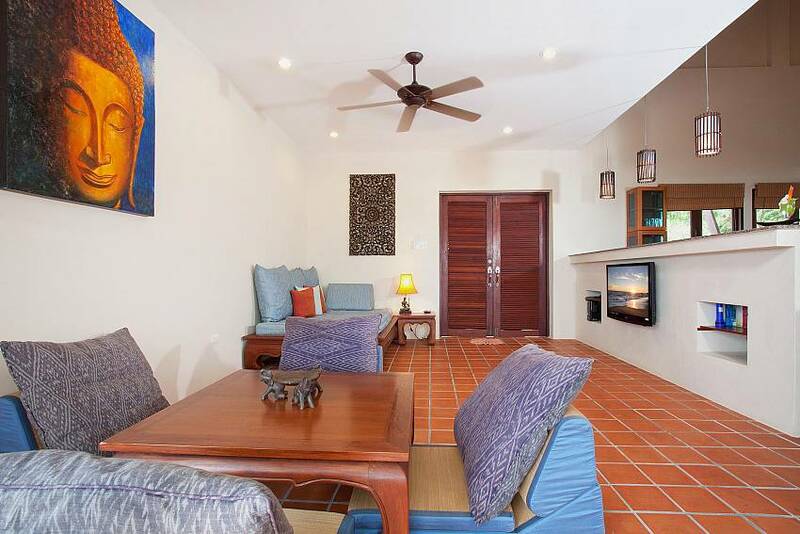 The beach, restaurants and shops are just 600 meters away. To the north there is Klong Nin Beach. 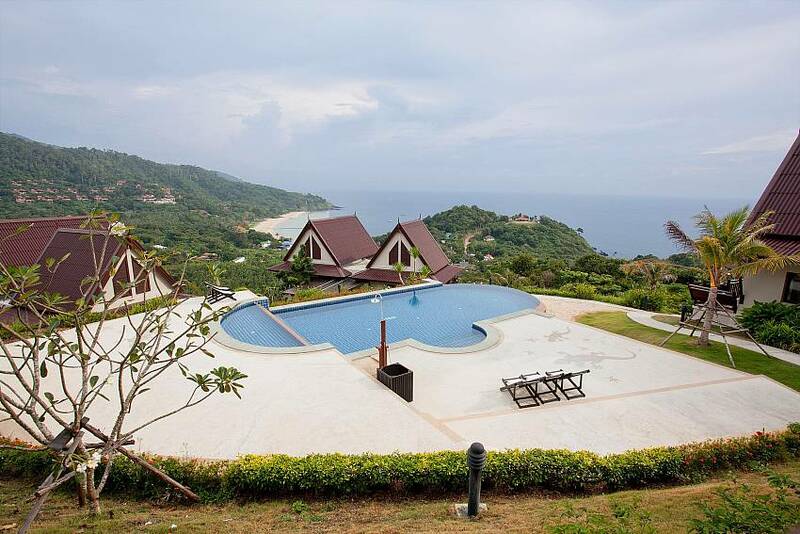 A 15-minute drive south takes you to Mu Lanta National Park. Just 3km away there is a lovely waterfall in a forest with walking trails. Staff at the estate can help you with directions and organizing trips. 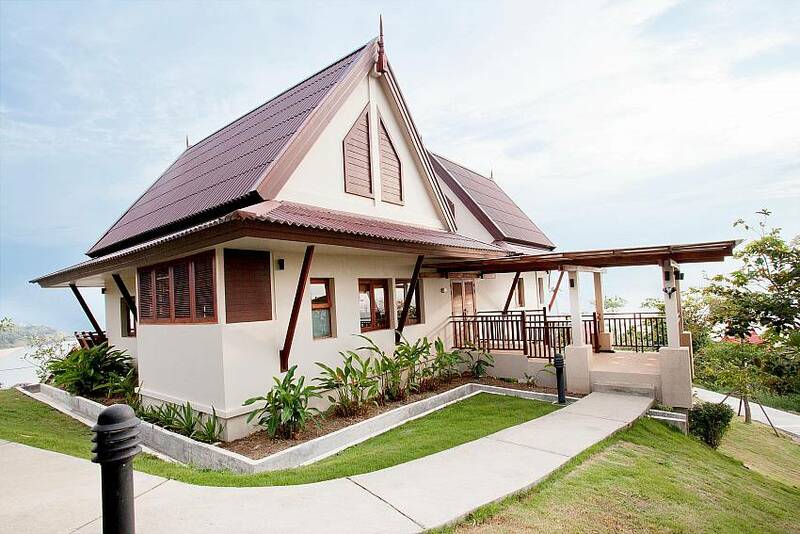 Click to view all our available properties for rent on Koh Lanta. 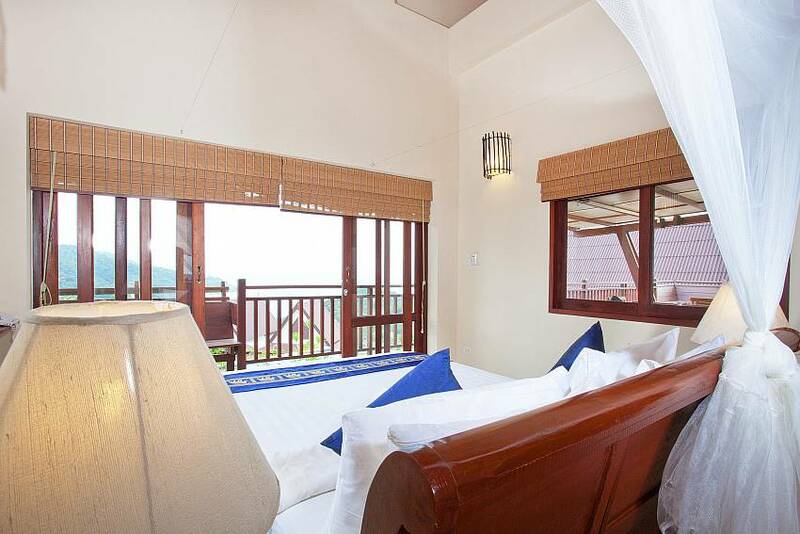 Both bedrooms are comfortably furnished with queen-size beds and both enjoy wonderful sea-views, ceiling fans and air conditioning. 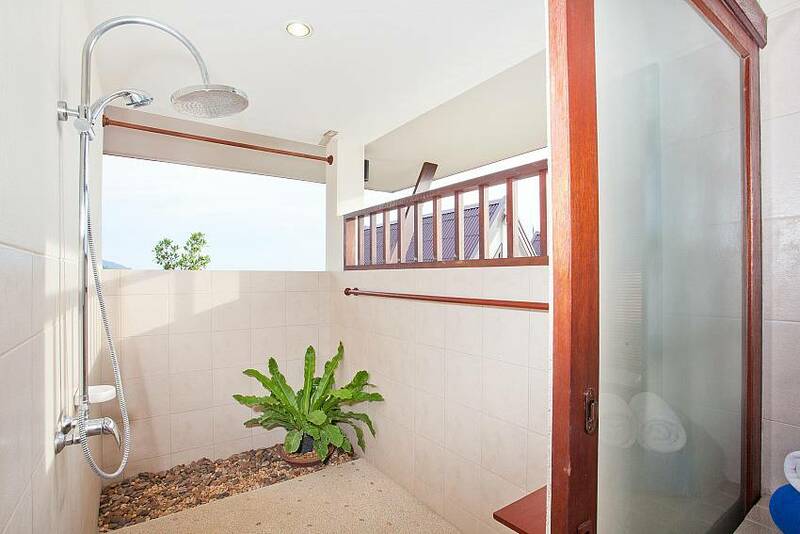 The villa’s two modern en suite bathrooms have open aspects to nice views. 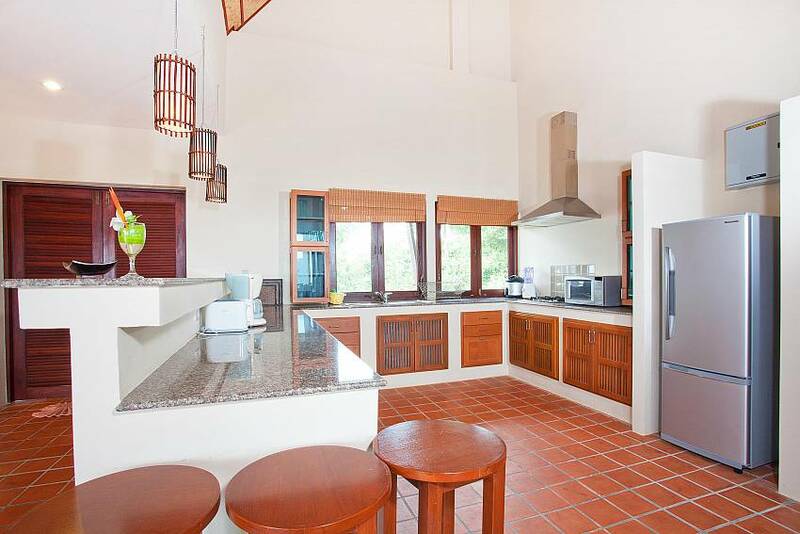 The modern kitchen has many appliances for easy self-catering, including a refrigerator, oven, gas hob and microwave. 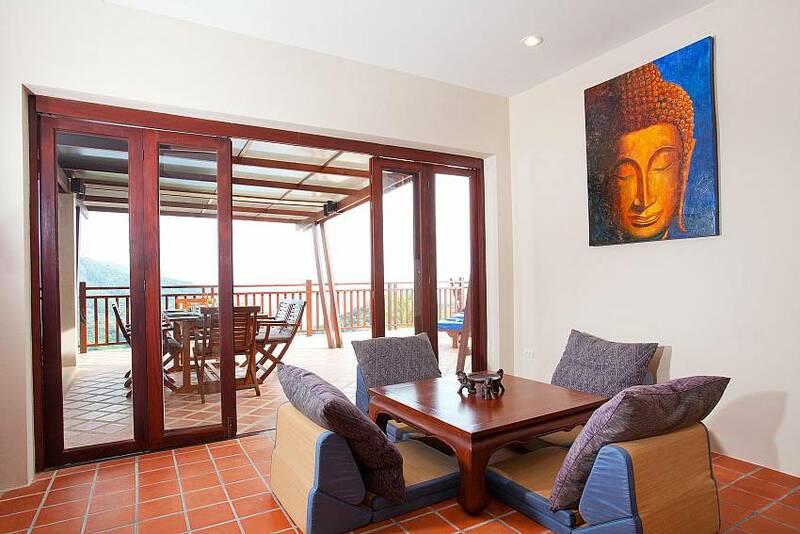 There are views of the garden and the ocean to inspire you as you cook your holiday meals. The comfortable living space looks out to the ocean beyond. It has a large flat-screen TV with international channels, and a connection to the Internet. 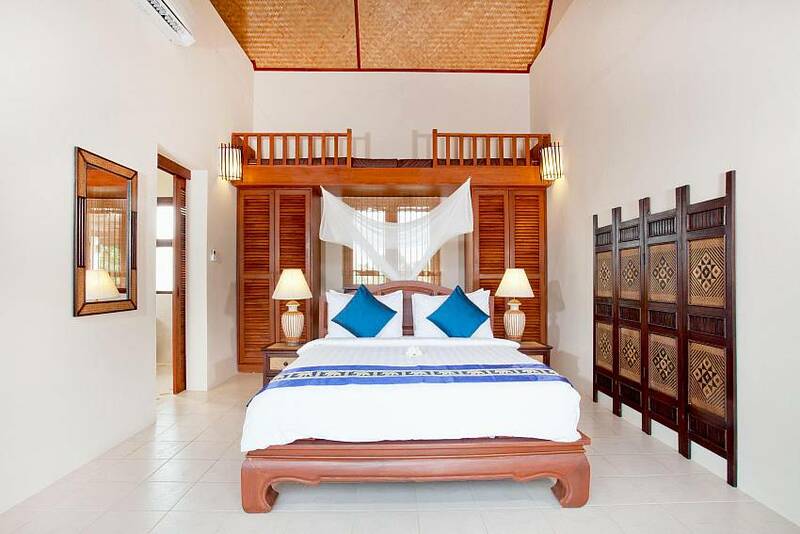 The room also has extra bed space so the villa can stretch to sleeping six persons. 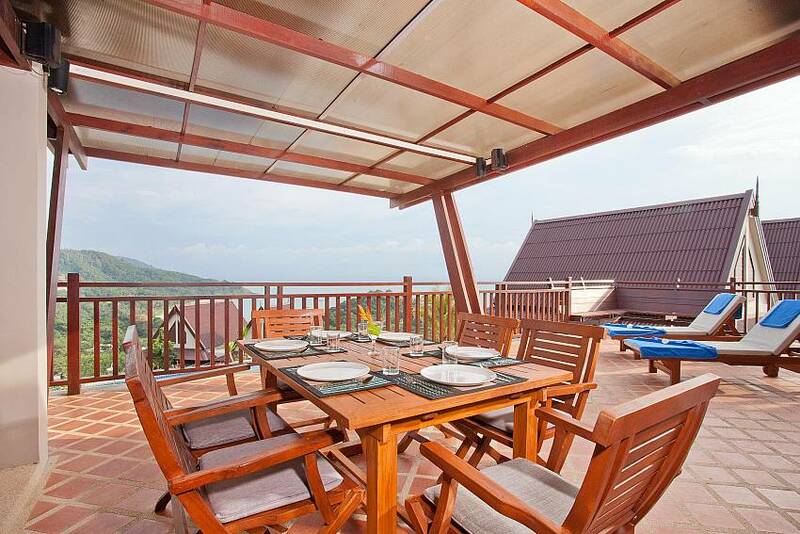 The spectacular dining area is the outside covered terrace with its marvellous sea views and breeze. It has a large wooden table with seating for eight people.